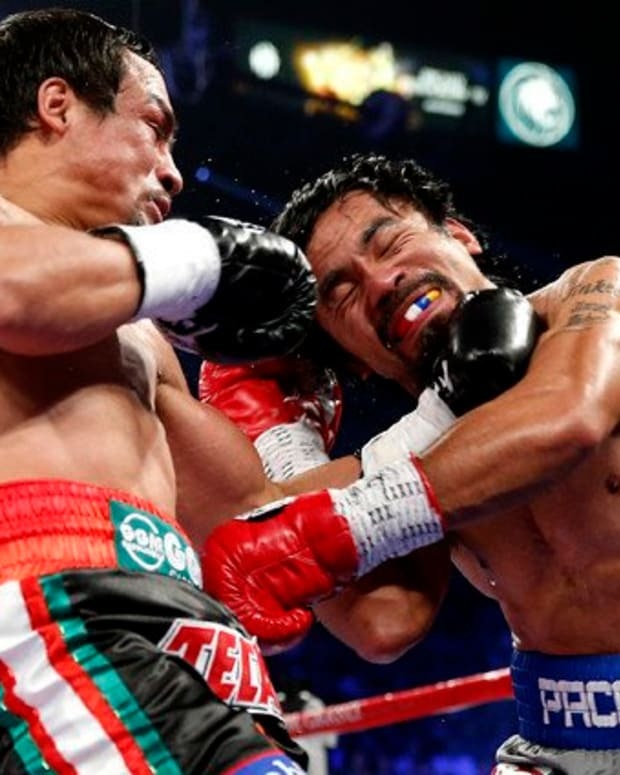 Manny Pacquiao has no trouble admitting that, officially, he lost his last two fights. That being said, he also doesn’t think he really lost them. And he can back that theory up with, well, some interesting logic. 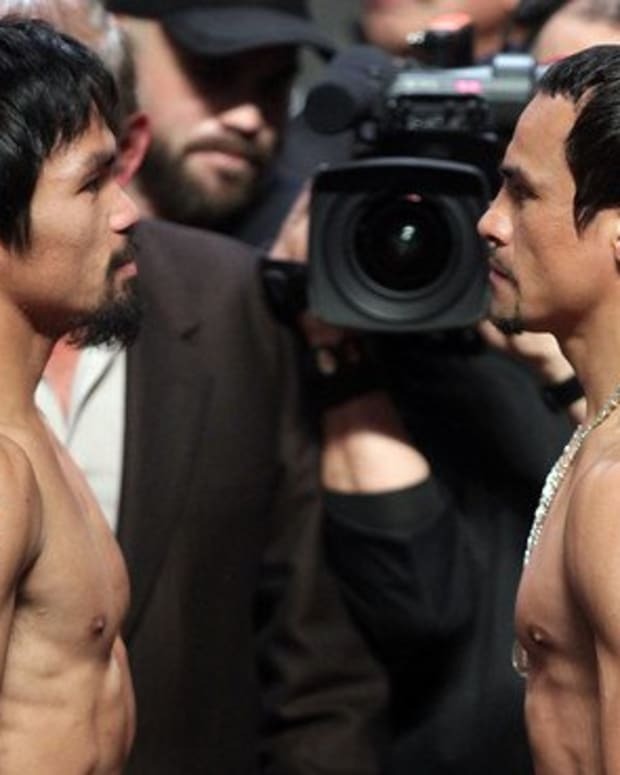 Pacquiao, 34, is coming off back-to-back defeats to Timothy Bradley and Juan Manuel Marquez. The former beat him via an admittedly horrendous split, the latter via a totally uncontroversial knockout. In the case of both matches, although you could make excuses and various rationalizations, the Filipino star had a shot at victory and squandered it. The Bradley fight, in particular, still serves as a brutal reminder of just how different Pacquiao has looked over the past two years. There was a time when he would never let a hobbled, worn down opponent hang around for 12 rounds. His inability to put Bradley away in that bout, coupled with the fact that he really only started working at the end of each round, made everyone feel slightly less bad about him getting robbed. As far as the Marquez fight, there shouldn’t even be a debate about that. Yes, Pacquiao was winning the match on every judge’s scorecard. But there is a reason why these things can end via knockout. Winning until you lost doesn’t earn you brownie points. 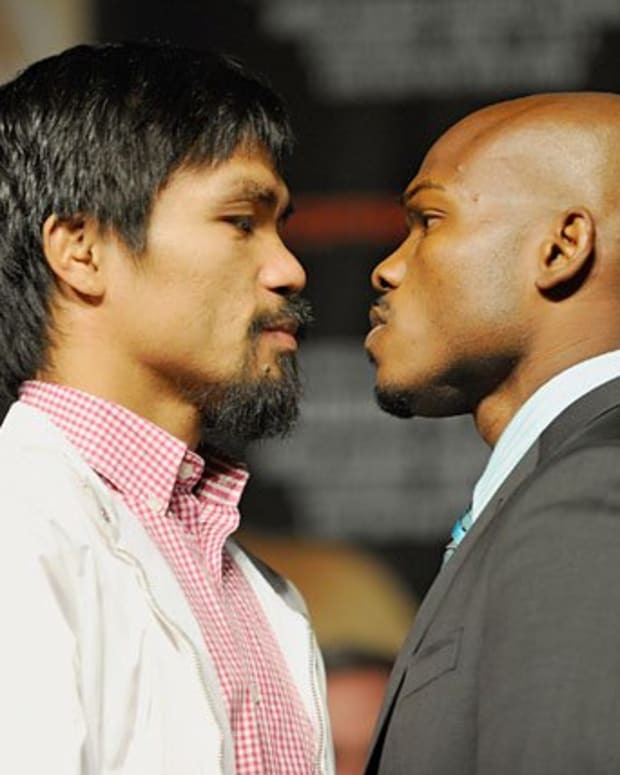 "Though I accept the judges&apos; decision I still do not understand their decision to score the fight against me when I fought Timothy Bradley,” Pacquiao said recently. "I was the aggressor throughout the fight. You can clearly see that by mid-fight, Bradley stopped engaging with me because he couldn&apos;t keep up with me and take the punishment I was giving him. So he decided to run from me. That, and the fact that judges don’t like it when you’re visibly relaxed for large chunks of the match. "For my fourth fight against Juan Manuel Márquez I was determined to end our rivalry with finality,” he continued. “In training camp -- and it was one of my best camps -- I was focused on being able to dominate Márquez from the opening bell. I trained hard in camp to attack him from all angles. And though he had his moments early in the fight, I knew I was beating him as the fight wore on. I felt the momentum coming my way and I was hurting him badly. I could see it and feel it. But I got careless. Pacquiao suffers from the same mental condition that all great athletes suffer from. He doesn’t think anyone can beat him; rather, he believes that he and he alone dictates the final result of matches. If he loses, it&apos;s because he did something wrong, not because the other guy did something right. That’s not true, obviously, but it’s not unique in any way, shape or form.